We’re starting off our participation in microlending this year with loans to two entreprenuers in very different parts of the developing world. As the owners of a small business ourselves, this is one of the ways we help other small business owners and a way to take an active role in the fight against global poverty, a cause that’s important to us. Mario lives in the Nicaragua, the largest country in Central America and a country where the average annual income per person is just over $3,000. 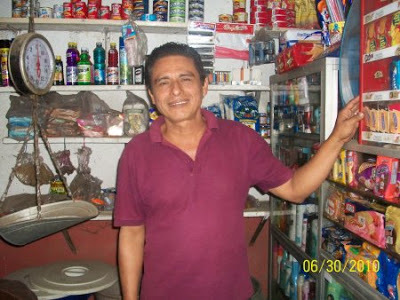 Mario owns a grocery store, a business he started with support from his family. 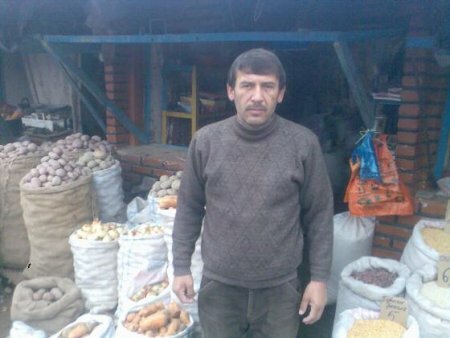 He requested a loan through Kiva to stock up on items that he sells, such as rice, beans and sugar, as well as toothpaste and soap detergent. We, along with lenders from countries including Australia, Canada, the UK, Romania, Norway and Sweden, pooled our money into a loan for Mario. Zubaydulo supports his wife and three children by selling vegetables at a market in the Central Asian country of Tajikistan, whose workers earn an average income of $1,300 per year. Zubaydulo has been in this business for three years and will use the loan to increase product turnover. Zubaydulo’s loan is being funded by lots of lenders living in the U.S., as well as lenders from Belgium, Switzerland and Singapore. That’s something we love about Kiva. You feel a sense of being connected with others, even though they’re far away and you’ll probably never physically meet. And this goes for not only the borrowers, but the lenders as well. You can view each lender’s page, where they often tell you something about themselves, and you can send messages. You can also connect with others by joining one or more lending teams on Kiva. For example, we’re members of the Kiva Editors team due to Brigette’s volunteer work editing Kiva loans before they’re posted. Lending teams can be really big…the top three in size have thousands of team members and are quite the diverse bunch: 1) Atheists/Agnostics/Non-Religious, 2) Kiva Christians and 3) a group created by Josh and Chuck, creators of HowStuffWorks.com’s Stuff You Should Know podcast.